Teaching kids can be one of the most rewarding parts of being a martial arts instructor. It can also be an absolute bloody nightmare if you get it wrong. Having a progressive, exciting and well-structured syllabus helps kids focus, set goals and work hard to earn their next promotion. It also makes your life easier as an instructor by creating a logical structure for your lessons. 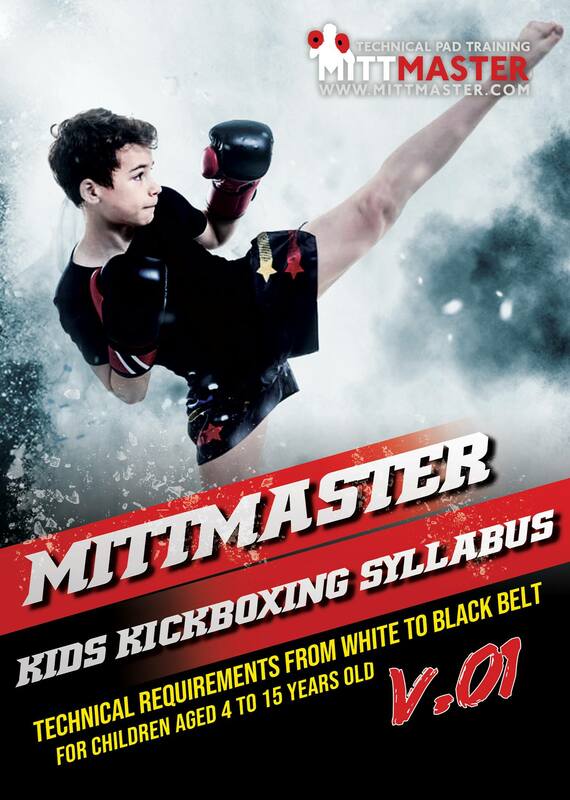 The Mittmaster Kids Syllabus is designed to help instructors plan, teach and run better kids classes whilst maximizing the number of students who will feel ready to test. This product actually contains two separate syllabi. First is my syllabus specially designed for younger children aged 4-7 years old. This syllabus includes martial arts drills with the emphasis on developing the physical and mental attributes they will need as they grow both as a child and as a student of the martial arts. The second syllabus is for children aged 8-15 years old. Each syllabus includes a life/ safety skills component which you can use to help your students develop life skills to keep them safe throughout their childhood and beyond. Each syllabus is also fully editable so can be modified to suit your students and style. (These syllabi are based on my mittmaster kickboxing / muay thai blend but can be modified for any striking style). Each syllabus is comprised of ten grades to junior black belt (you can, of course, edit the number of grades). I personally use gradually darker shades from white belt to black belt to signify the students progress. Bonus FREE ebook on "How to teach kids martial arts classes without going mad!" which is packed full of awesome tips I've learned over 20 years to help you teach great, stress-free kids classes. It may just save your sanity. I've been using both syllabi for over 20 years at my school and they have helped me produce 100's of well mannered, focused young martial artists, many who have gone on to open their own schools under my association. Both syllabi are NOW available with a 50% discount if you pre-order before the 20th of February. The price will double from the 21st February. Execept from Micheal Massies Book "Martial Arts Character Education Lesson Plans For Kids"